Here is a document representing a "set aside" at the client's Administrative Per Se Hearing. 2. 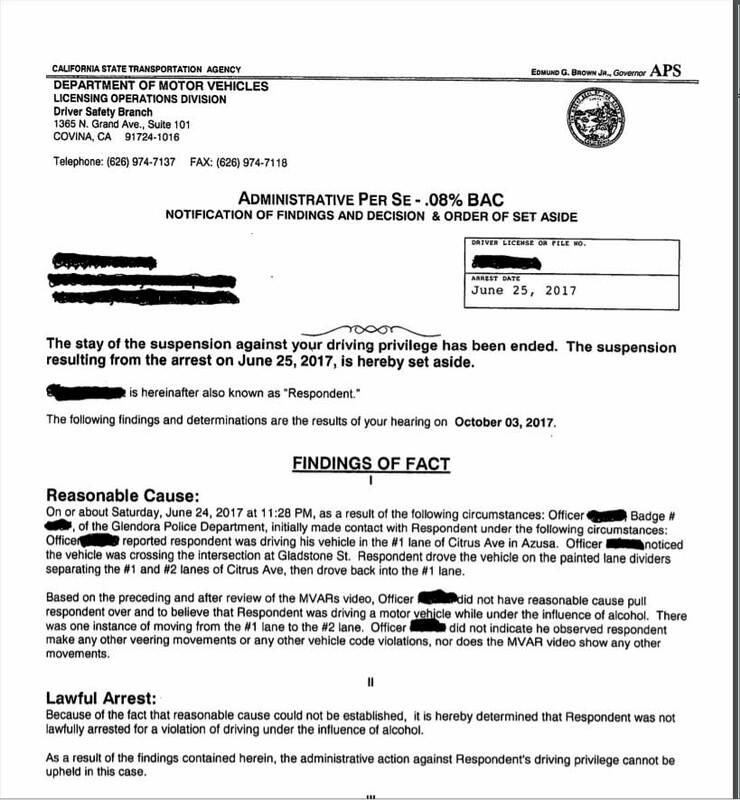 Was the client lawfully detained while on DUI probation or lawfully arrested? A review of the Officer's Dash Cam video that was produced pursuant to a subpoena revealed a de minimus movement of my client's vehicle not amounting to a violation of the law or probable cause to stop the vehicle. Consequently, the client's suspension action was "set aside." The issue presented in this case was that there was no admissible evidence to prove that the client's blood alcohol level was .08 percent or above at the time of driving. The client hit a parked car early in the morning, had a blood alcohol level of .32 and is on probation for a DUI. The only time of driving presented, 5:30 a.m., constituted Inadmissible Hearsay evidence. 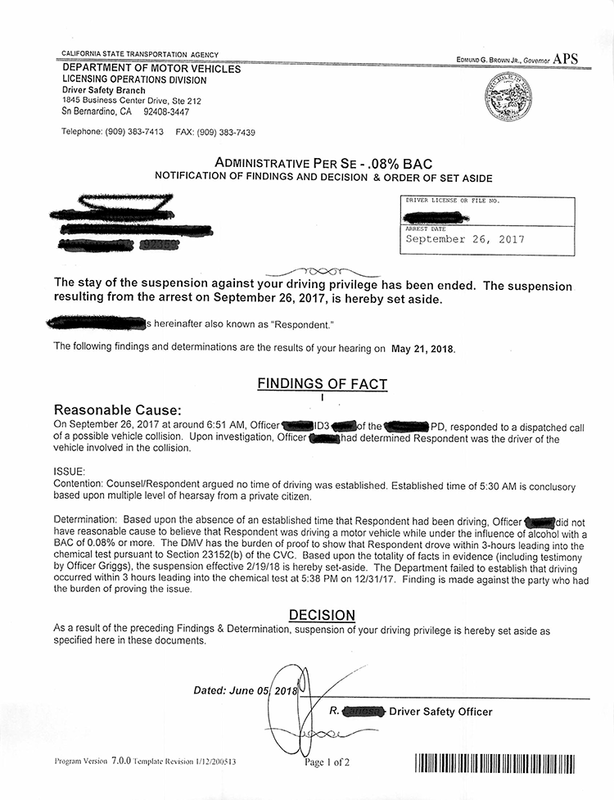 The client chose a blood test which was completed 3 hours and 1 minute after the alleged time of driving, which did not allow the DMV to use the Rebuttable Presumption that any test obtained within 3 hours of driving reflects the BAC at the time of driving. There was no other admissible evidence to establish the time of driving and the blood alcohol level. Consequently, the DMV was unable to meet its burden proving that the client's blood alcohol level was a .08 or above at the time of driving, and the suspension action was "set aside." Here is a document representing a "set aside" at the client's DMV Hearing.